We put our name and reputation on every bed we build! In fact, our sales staff manufacture your bed! Pictures from our Factory and Jobsites! Custom RV Mattress Hot Off the Press! Latex V-Berth Mattress in a Master Cabin for Less than our Competitors' Household Latex Mattresses!! 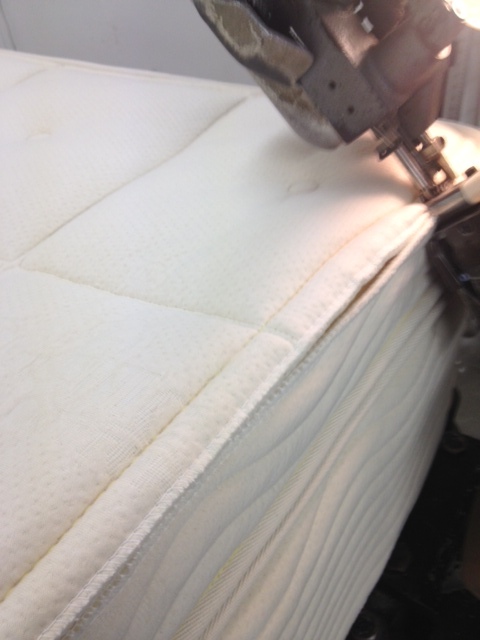 Our mattresses are hand crafted in Florida. In fact, most of the raw products in our mattresses are manufctured in America. From our recycled American steel to our All Natural American latex, we use only the highest quality products made right here in America!